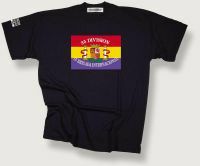 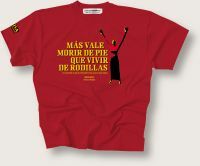 In this unequal battle for Spain's land and freedom the Republican government enjoyed the support of a popular front commited to the cause of anti-fascism. 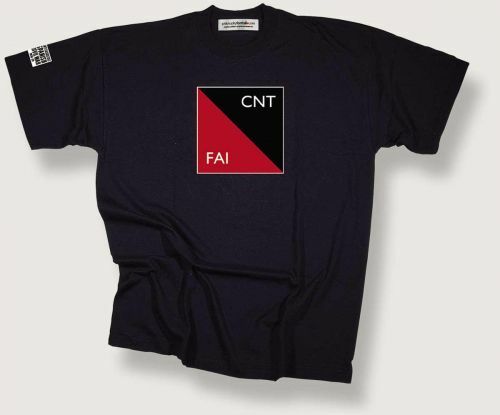 Our design is based on the banner of the anarchists and anarcho-syndicalists of Spain's CNT-FAI confederation, not always in agreement witth the government's positions they nevertheless remained one of the most miltant groups commited to the common anti-fascist cause. Unisex sizes small (36inch chest/90cms) and medium (40inch/100cms). Available as listed below.